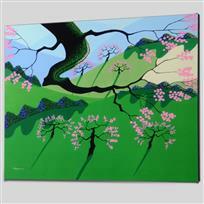 "Cherries Jubilee" Limited Edition Giclee on Canvas by Larissa Holt, Protege of Acclaimed Artist Eyvind Earle, Numbered and Signed with Certificate of Authenticity. Gallery Wrapped. Eyvind Earle (1916-2000), "As Far As I Could See" Limited Edition Serigraph on Paper; Numbered & Hand Signed; with Certificate of Authenticity. 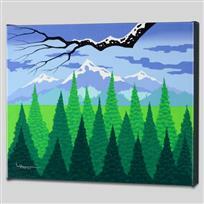 "Veiled Forest" Limited Edition Giclee on Canvas by Larissa Holt, Protege of Acclaimed Artist Eyvind Earle, Numbered and Signed with Certificate of Authenticity. Gallery Wrapped. 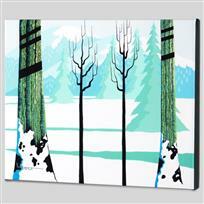 "Winter" Limited Edition Giclee on Canvas by Larissa Holt, Protege of Acclaimed Artist Eyvind Earle, Numbered and Signed with Certificate of Authenticity. Gallery Wrapped. 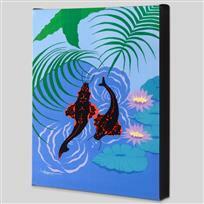 "Koi Garden" Limited Edition Giclee on Canvas by Larissa Holt, Protege of Acclaimed Artist Eyvind Earle, Numbered and Signed with Certificate of Authenticity. Gallery Wrapped. 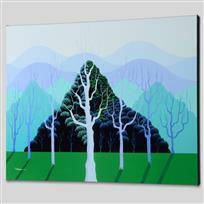 "A Gathering of Trees" Limited Edition Giclee on Canvas by Larissa Holt, Protege of Acclaimed Artist Eyvind Earle, Numbered and Signed with Certificate of Authenticity. Gallery Wrapped. 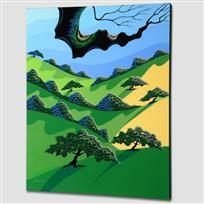 "Fields of My Father" Limited Edition Giclee on Canvas by Larissa Holt, Protege of Acclaimed Artist Eyvind Earle, Numbered and Signed with Certificate of Authenticity. Gallery Wrapped. 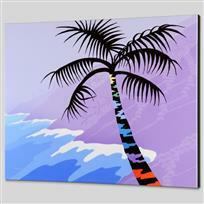 "Palmistry" Limited Edition Giclee on Canvas by Larissa Holt, Protege of Acclaimed Artist Eyvind Earle, Numbered and Signed with Certificate of Authenticity. Gallery Wrapped. 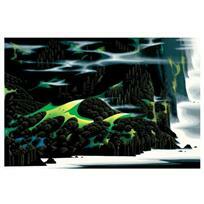 Eyvind Earle (1916-2000), "Beneath The Silent Sky" Limited Edition Serigraph on Paper; Numbered & Hand Signed; with Certificate of Authenticity. 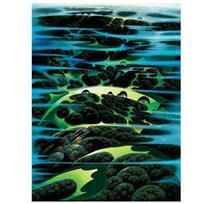 "Haystack Isle" Limited Edition Giclee on Canvas by Larissa Holt, Protege of Acclaimed Artist Eyvind Earle, Numbered and Signed with Certificate of Authenticity. Gallery Wrapped. 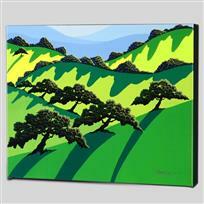 "Out to Pasture" Limited Edition Giclee on Canvas by Larissa Holt, Protege of Acclaimed Artist Eyvind Earle, Numbered and Signed with Certificate of Authenticity. Gallery Wrapped. 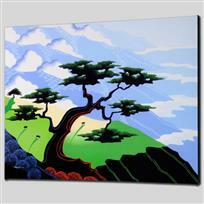 "Eucalyptus" Limited Edition Giclee on Canvas by Larissa Holt, Protege of Acclaimed Artist Eyvind Earle, Numbered and Signed with Certificate of Authenticity. Gallery Wrapped. 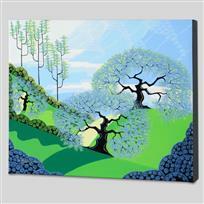 "Spring" Limited Edition Giclee on Canvas by Larissa Holt, Protege of Acclaimed Artist Eyvind Earle, Numbered and Signed with Certificate of Authenticity. Gallery Wrapped. 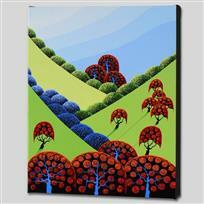 "Autumn Fields Forever" Limited Edition Giclee on Canvas by Larissa Holt, Protege of Acclaimed Artist Eyvind Earle, Numbered and Signed with Certificate of Authenticity. Gallery Wrapped. 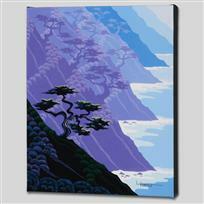 "Cows, Coast, Tree" Limited Edition Giclee on Canvas by Larissa Holt, Protege of Acclaimed Artist Eyvind Earle, Numbered and Signed with Certificate of Authenticity. Gallery Wrapped. 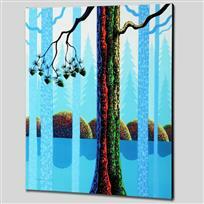 "Blue Neon" Limited Edition Giclee on Canvas by Larissa Holt, Protege of Acclaimed Artist Eyvind Earle, Numbered and Signed with Certificate of Authenticity. Gallery Wrapped. 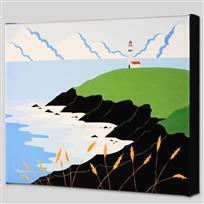 "Fisherman's Lighthouse" Limited Edition Giclee on Canvas by Larissa Holt, Protege of Acclaimed Artist Eyvind Earle, Numbered and Signed with Certificate of Authenticity. Gallery Wrapped. "Board Meeting" Limited Edition Giclee on Canvas by Larissa Holt, Protege of Acclaimed Artist Eyvind Earle, Numbered and Signed with Certificate of Authenticity. Gallery Wrapped. 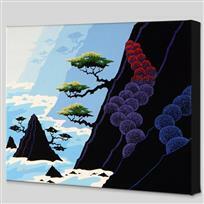 "Bonsai" Limited Edition Giclee on Canvas by Larissa Holt, Protege of Acclaimed Artist Eyvind Earle, Numbered and Signed with Certificate of Authenticity. Gallery Wrapped. Eyvind Earle (1916-2000), "Haze Of Early Spring" Limited Edition Serigraph on Paper; Numbered & Hand Signed; with Certificate of Authenticity.